Skin is the largest organ of the integumentary system in mammals. Amphibians, reptiles and birds have a different type of skin. Skin is a very important organ because it interfaces with the environment and is the first line of defense from external factors, including protecting the body against pathogens, insulating the body, temperature regulation and excessive water loss. In humans the thinnest layer of skin on the body is found under the eyes and around the eyelids (0.5mm thick). The palms and soles of the feet contain the thickest layers of skin (4mm thick). 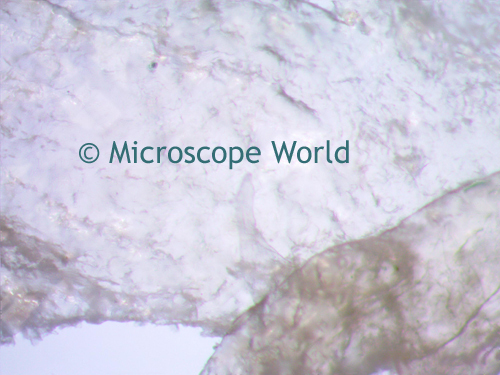 Thin layer of skin captured at 100x magnification under a stereo microscope using the bottom light for illumination only. 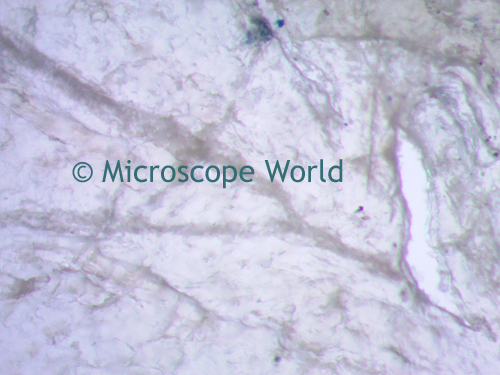 Human skin under the HSZ6-TBL LED stereo zoom microscope using the top light only at 100x magnification. 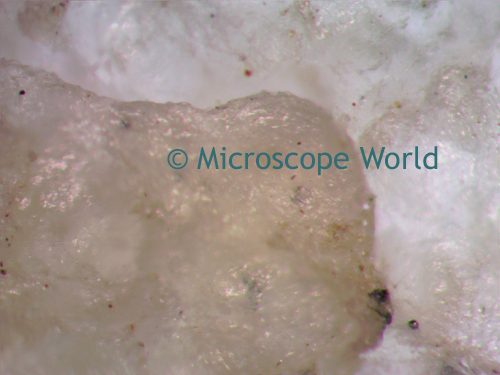 Another shot captured at 100x magnification using the bottom light. 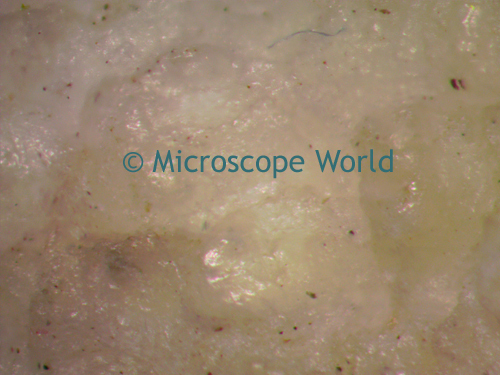 The microscope camera used to capture this image was the DCM2.1 microscope camera. Top illumination only, 100x magnification.